What makes it all the more interesting that time travel never really seems to be used consistently within fiction. The general consensus within the scientific community is that time can’t be changed, if you were to go back and attempt to change the past, then you’re actions would have been something that had always happened. 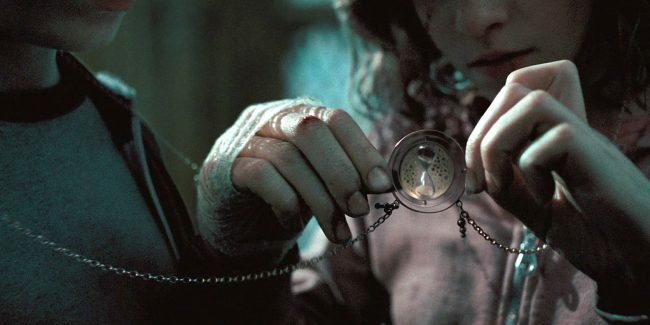 The closet thing I’ve seen to this in fiction is the events toward the end of Harry Potter and the Prisoner of Azkaban, in which things happening that seemed bizarre and unexplained at first are later revealed to be the actions of Harry and Hermione, having travelled back in time. You’re not changing the past, you’re confirming the inevitable. That’s not super exciting though, and the majority of time travel in fiction treats the changing of history as cinematically dramatic. Like Marty McFly slowly fading away after jeopardising his own existence through actions in the past. Or in Looper, when doing something to his body in the past suddenly causes a scar or mark on the Joe’s future self. The biggest worry about time travel in fiction, and it being used in more cinematic or dramatic ways is there is always the temptation to try and be clever and end your story with a twist, or a do-over. I found myself interacting with three stories that ended themselves like this in recent memory, with the action of going back in time with the goal of preventing some great tragedy. An action in a piece of storytelling I get real nervous about. The thing is, I like action and spectacle as much as anyone. But honestly, if you want me to truly fall in love with your story, it’s going to be your characters and their growth that does it. People going through personal journeys, learning something and changing a little for the better is the staple of a story, something that a lot of modern movies don’t do as well as they used to. But I digress, my problem with the time travel reset is that it’s an action that can totally undermine the journey I’ve spend the last 2-100 hours going on with these characters. Some examples of this are supposed to be sad and depressing, catching the characters in a never ending time loop, as tragic as it is terrifying. That’s fine, it’s the point the writer was trying to make. Where I get upset is when it feels like the creators of the story seem to hold little regards for their characters, their development or their audience. The three examples I’m about to talk about vary in my reaction to them, one I thought did it fine, the next I hated, and the third landed somewhere in the middle. 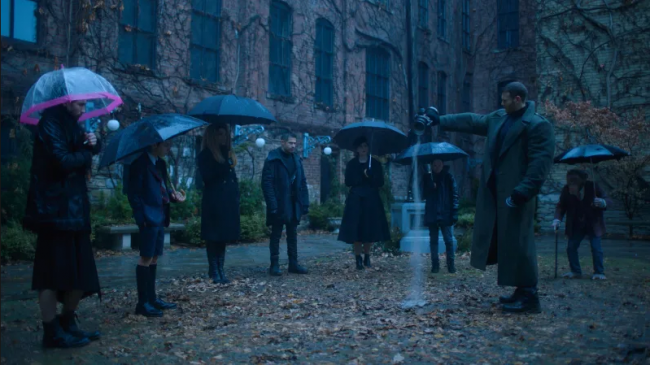 First off; the most recent example is Umbrella Academy, the Netflix original superhero show based on the comic book series by Gerard Way. Which I’m about to spoil thoroughly, so be warned. So the entire crux of the series is based on a highly dysfunctional group of people who were adopted by an eccentric adventurer, who all happen to have super powers. On the day they all reunite for their father’s funeral, one of their number, who has the ability to travel through time, mysteriously reappears after being missing for decades with a warning of the world ending in a week. By the time the series comes to a close, all of the characters gone through significant personal trials, growing as people and overcoming (or at least beginning to) some of their more glaring personality defects, mending their relationships with one another and their estranged, dead father. As it turns out, the apocalypse Number Five came back to prevent ended up happening anyway, and their only recourse is to join together, more mature and willing to embrace one another than before and do it again, but better. Using Five’s power to go back in time and inhabit their younger bodies. This doesn’t bother me because it’s a continuation of the story, not a resetting of it. Additionally, the stakes meant that they weren’t really afforded any other option, with the world coming to an end, there was no forward path for them that didn’t involve going back in time. And while the events after going back are left ambiguous, that very fact allows me to assume the best case scenario and that everything they learned and experienced throughout the course of this series allows them to continue growing. So now let’s go to an example that has the exact opposite effect on me. This one is going back a bit, but it’s something I spoke to at length once before. In regards to the events of the ending of the first Life is Strange game. In an article talking about how a bad ending can ruin a good story, I spoke about this game and that relentlessly told the player that their choices have consistences. Making every decision point full of weight and personal drama. 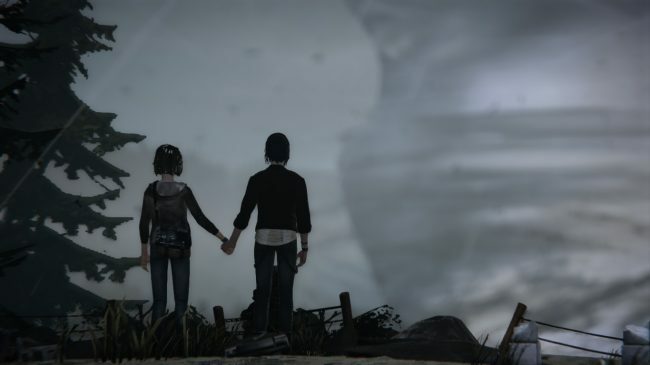 You spend these five parts growing to love Max and Chloe, and their re-connection through several traumatic events. As the game progresses, the player controls Max to make use of her newly discovered time manipulation powers, mostly to help those around her and make their lives better. As it turns out though, the very use of her powers is going to cause a highly destructive event to wipe out the town and everyone in it. While the game does present you with the choice of sacrificing the entire town to save Chloe during the finale, given Max’s portrayal throughout the entire game, it felt like a disingenuous decision point, one that Max would not make in any other way than to go back to very beginning of the game and allow Chloe to be killed in the bathroom, which is the geneses for the entire game’s events. Why this bothers me so much, like I mentioned in the linked article, is that I feel manipulated by the author, I invested myself into these characters and their plight, and their resulting growth. And then the story renders everything that happened while I was playing the game inconsequential, all the good Max did for the sake of her friends and family amounted to nothing. I’m sure that was the author’s intent, but my parting feelings towards the game were really negative as a consequence. As much as I enjoying the game for its surprisingly accurate representation of teenage melodrama, I couldn’t get past how much the ending bummed me out. As much as the ending is only a small part of any story, it’s still the parting impression you give to your audience. Which is why I was so apprehensive when it came up in the ending of Dragon Quest XII. By all accounts this was a game I adored, a throwback to a kind of RPG that isn’t as prominent as it once was, a game packed with charm, great characters and fantastic voice acting. When All was said and done, the hero defeated the big bad, the world was saved and the credits rolled. However, after the credits, I was given the option to load back into the game. After some brief celebrations, a new story opened up, one that lead me to a tower of time. Inside, the party were presented with a choice, to go back to before a cataclysmic event at the game’s half way point in a bid to save one of the party who had to sacrifice themselves to save everyone else. It was a galling choice, because only the main character would remember the trials he had endured, and the rest of the party would be clueless, the present versions of them simply ceasing to exist. From the point of view of the hero, it seemed like a risk worth taking. After the World Tree fell and darkness consumed the land, a lot of people died, people lived in terror as they were relentlessly attacked by monsters. In going back, the hero could prevent all of this saving so many lives. And I sat there, unable to make the choice, knowing there was nothing more to the game in this timeline from a mechanical point of view, and if I wanted to continue playing the game, I would have to go back… And so I turned the game off. And I didn’t return to it for a good number of weeks. Within the lore of the story, it makes sense as a decision. As a piece of storytelling, it felt a little like having your cake and eating it too. It takes the edge away from the dramatic storytelling that led up to the ending. Hendrick’s turn from an antagonist to stanch ally was erased, one of my favourite moments in the game. Sylvado’s re-connection to his father; no longer happened. Eric’s rescue of his cursed sister, undone. And worst of all, Serena’s growth from a little sister and a follower into a strong and independent person who moved beyond simply living in the shadow of her sibling. All these great character moments are undone in a moment of hubris to go back and do it better. Imagine if there was a post game in Final Fantasy VII where Cloud could go back and prevent Aerith from dying. Would the game have anywhere the cultural significance if that were the case? I mean, probably, but it would certainly be lesser for it. I did eventually go back and play some more of the game. The events are different enough that it does feel like an entirely new segment of the game rather than replaying what I’d already done. But I fell away, I lost the passion and the connection to these characters I’d enjoyed so much because they’d all lost something. For the sake of saving one person, which eventually lead to a much greater threat. Showing the hubris of the choice coming back to bite them. The old adage is that all stories are about the journey, not the destination. 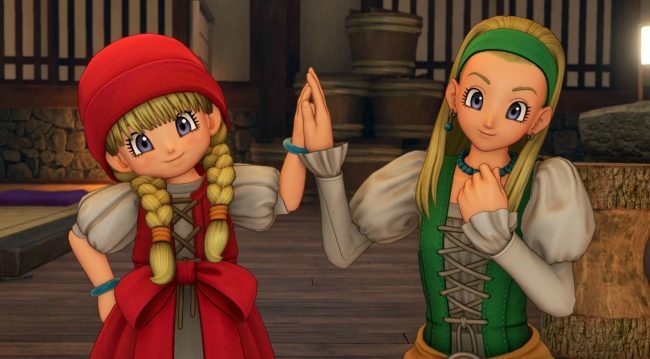 My issues with the final parts of Dragon Quest don’t lessen my overall enjoyment of the game, which I still really enjoyed. But I want to feel like the journey meant something, when I invest myself into a collection of characters, of course I want to see them, learn and change and grow. To witness all of that and then get it snatched away can completely turn me off a story. Maybe that’s just me, but as hypocritical as it may sound, we should always strive to look forward. Changing the past, even as a metaphor isn’t the healthiest way to deal with problems, and only ever ends up making things worse. Except if you’re Hermione Granger. 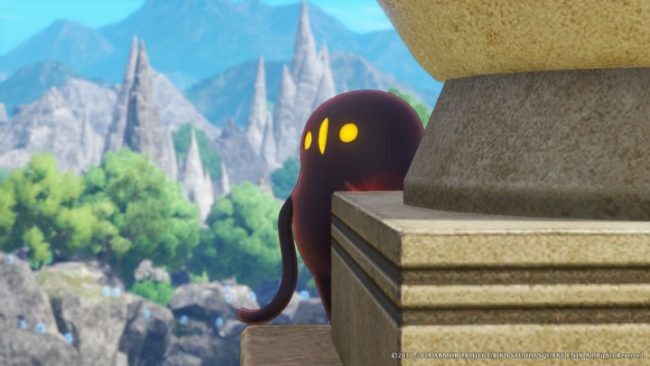 Posted on March 25, 2019 March 23, 2019 by WooderonPosted in Features and/or Ranting:, Video GamesTagged dragon quest XI, gerard way, harry potter, life is strange, looper, time travel, time turner, umbrella academy, writing.